Custom half-frame Oahu style sunglasses – blue makes a cool summer gifting choice for marketers who are trying to win their customers. Attractively priced and UV protected marketers can select it for summer gifting. These Oahu styled sunglasses are also great for gifting during party events and other celebrations. 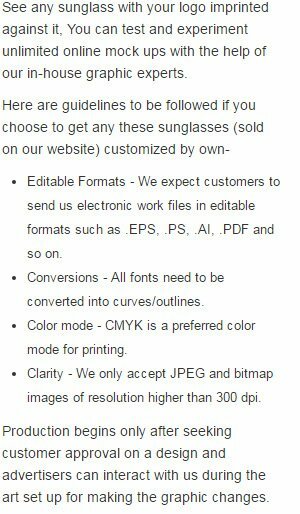 We offer great savings on bulk orders of these customized sunglasses. Perfect for party planners, schools, summer fests, beach fests, etc. Request a quote to know bulk order savings for these customized half frame Oahu sunglasses – blue.